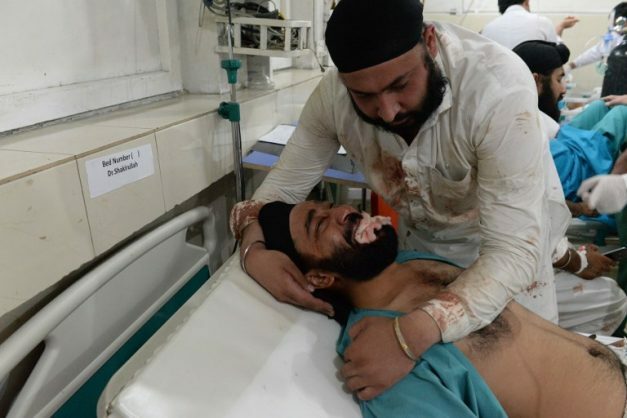 An Afghan victim receives treatments at an hospital following a suicide attack in Jalalabad on July 1, 2018. An explosion in a city in eastern Afghanistan where President Ashraf Ghani was visiting killed at least 12 people, officials said July 1, in the latest deadly violence to rock the country. Picture: AFP Photo / Noorullah Shirzada. The president said his office had cleared ‘all obstacles’ to peace with the announcement of a proposed three-month ceasefire. Afghanistan was waiting Monday for a Taliban response to President Ashraf Ghani’s proposal of a three-month ceasefire, an offer welcomed by the United States and NATO after nearly 17 years of war. Ghani unveiled the government’s latest gambit during an Independence Day address late Sunday, saying security forces would observe the truce beginning this week – but only if the militants reciprocated. The move followed an extraordinarily violent week in Afghanistan that saw that Taliban storm the provincial capital of Ghazni – just a two-hour drive from Kabul – and press the fight against security forces across the country, with estimates suggesting hundreds of people may have been killed. It also came just hours after an airstrike against a Taliban convoy in the north of the country that, according to regional army spokesman Mohammad Hanif Rezaee, killed around 100 militant fighters. The president said his office had cleared “all obstacles” to peace with the announcement following consultations with religious scholars, political parties and civil society groups. The proposal was warmly greeted by both NATO and the US, with Secretary of State Mike Pompeo calling on the Taliban to participate. It is not yet clear if US-led NATO forces will participate in the ceasefire. The truce offer was also welcomed by the UN Secretary-General’s Special Representative for Afghanistan Tadamichi Yamamoto, who added it was important “to seize all opportunities for a negotiated end to the conflict”. The Taliban did not immediately respond to Ghani’s proposal, but vowed to release “hundreds” of “enemy prisoners” to mark the Islamic Eid al-Adha holiday that starts this week. It was not clear which prisoners they were referring to. A senior Taliban member based in Pakistan told AFP the leadership had yet to issue a formal response to the ceasefire, but suggested fighting may be restrained during Eid even if no announcement is made. 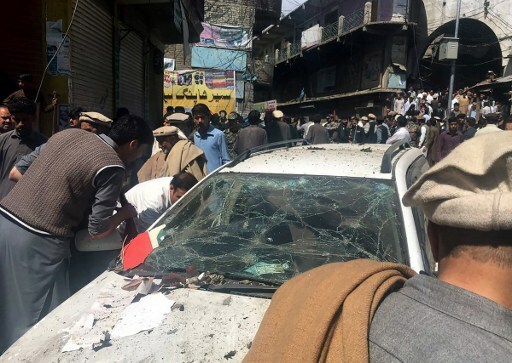 Pakistani residents gather at the site of a powerful explosion at a market in Parachinar, capital of the Kurram tribal district, on March 31, 2017. Analysts were mixed over the proposal, with some saying the government’s move was a sign of desperation after recent heavy bloodshed, while others said the trust-building measure was integral to paving the way for negotiations. “After Ghazni City and everything else, this looks really desperate,” tweeted Bill Roggio, a senior fellow at the Foundation for Defense of Democracies. Kabul-based military analyst Ateequllah Amarkhail however said the war had ground to a stalemate, and the Taliban needed to respond positively to open dialogue. As anticipation mounted over a Taliban response, interior ministry spokesman Najib Danish confirmed that some 140 people had been briefly kidnapped then set free in Kunduz early Monday. He added that authorities did not know who was behind the abductions, which are common in the province. Local officials also could not confirm the culprits. Some media outlets reported that the Taliban may have been involved. Washington has ramped up airstrikes across the country in the past year as part of President Donald Trump’s strategy giving American forces more leeway to go after the Taliban and other militant groups. “After the ceasefire announcement, we have had no reports of fighting or serious attacks in the north so far,” said Rezaee. 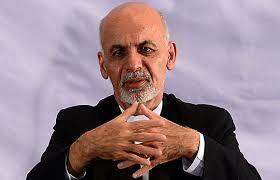 Afghan President Ashraf Ghani. Picture: AFP PHOTO. If the militants accede to the ceasefire, it would be just the second nationwide truce since the US-led invasion in 2001 that toppled the Taliban regime. The first, for just three days in June, saw thousands of insurgents pour into cities across Afghanistan, eating ice cream and posing for selfies with security forces to celebrate. The brief respite spurred hopes that a new path was opening for possible peace talks in the country to end the nearly 17-year-old war. Prior to Ghazni there had been tentative signs that diplomatic efforts to kick-start peace negotiations were starting to bear fruit. In June, Washington indicated a shift in its longstanding policy that negotiations must be Afghan-led. Last month Taliban representatives met US officials for talks in Qatar, militant sources have told AFP. Afghan security forces have suffered enormous losses since US-led NATO combat forces withdrew in late 2014. But it is ordinary Afghans who been suffered the most in the relentless conflict, especially in Kabul, which the UN has said is the deadliest place for civilians in Afghanistan. There has been no major reports of fighting between security forces and the Taliban since Ghani’s speech.